For some, butterflies symbolise change and transformation, for others they are simplly admired for their beauty. 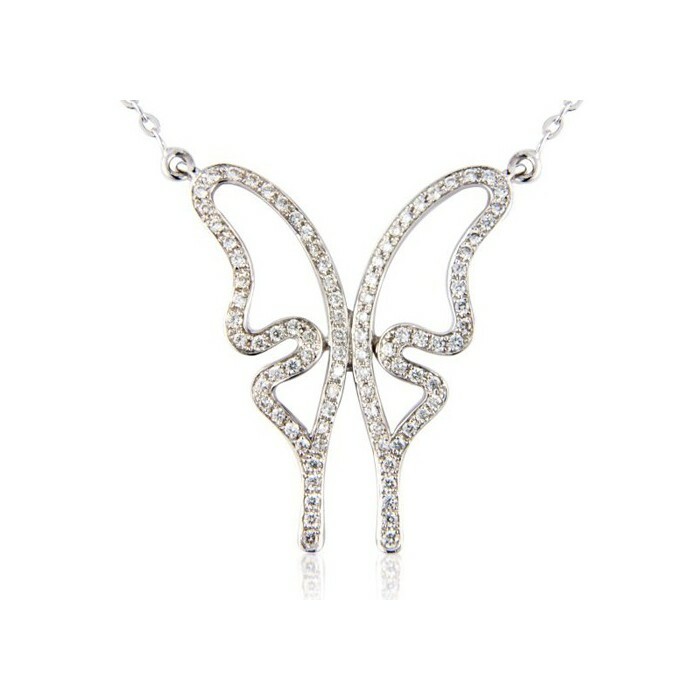 Either way, their essence is captured in this delicate butterfly necklet. 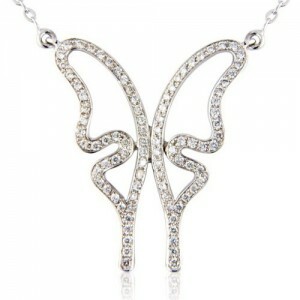 Pave set with round brilliant cut diamonds weighing 0.28cts in total, the butterfly itself is 25mm high and 20mm across. It is permanently fixed to a fine trace chain with a total length of 16 inches (42cm). This necklet can be ordered in yellow gold. Please contact us for details.